Apartments in Borivali East, Mumbai , by Kaustubh Construction Pvt. Ltd.
Kaustubh Platinum, A seamless amalgamation of luxury, comfort and style blend to provide a truly sophisticated lifestyle. These Residential Apartments in Mumbai are beautifully planned keeping in mind the architecture which can soothe your senses whenever you step into your house after a tiring day from work. Kaustubh Platinum by Kaustubh Construction Pvt. Ltd. in Borivali East strives for customer satisfaction and believes in building world-class projects without compromising on quality standards, innovation and timely delivery. With well-ventilated apartments and uncluttered nature space, Kaustubh Platinum makes you feel that every day is an excursion. Kaustubh Platinum is one of the best investments in Residential properties in Borivali East, Mumbai. The Apartments in Kaustubh Platinum are strategically constructed keeping in mind excellent connectivity of public transport. Kaustubh Platinum presents 1 BHK, 2 BHK and 3 BHK Apartments in Mumbai. The price of Apartments at Borivali East in Kaustubh Platinum is well suited for the ones looking to invest in property at Mumbai. Amenities: Kaustubh Platinum has been designed such that it includes all the world-class amenities such as Landscaped Garden, Swimming Pool, Gymnasium, Intercom, Rain Water Harvesting, Health Facilities, Gated community, Jogging Track, 24Hr Backup Electricity and Security. Location Advantage: Kaustubh Platinum is conveniently located at Borivali East to provide unmatched connectivity from all the important landmarks and places of everyday utility such as hospitals,schools,supermarts, parks,recreational centers etc. Borivali East, Mumbai, Maharashtra, INDIA. Kaustubh Construction Pvt. Ltd. is a well-known player in real estate industry, and their focus from day one has been to provide the best quality real estate products. Apart from that, they provide the best customer service and the uncompromising values. It has till now handed over 1 projects across housing projects and is working on approximately 1 societies in the city. The company's main goal is to provide the best real estate services in all the areas they serve. Know more aboutKaustubh Construction Pvt. Ltd.
Earthquake resistant R. C. C. frame structure design. Elegantly designed Entrance Lobby. Beautifully Landscaped garden with jogging track and children Play Park. Fully equipped Fitness Centre. Adequate car parking facility on multi level podium. Automatic Lifts of reputed make. 24 hour Generator hack up for all lifts. Super quality marbonite in hall and vitrified tiles in all bedrooms. POP finished wall with plastic paints. Granite kitchen platform with stainless steel sink with lintel level tiles. Dry balcony in kitchen. Concealed plumbing with quality sanitary fittings of JAQUAR' make. Concealed copper wiring with approved make switches with sufficient point. Anodized Aluminum sliding windows with tinted glass. Close circuit security system with intercom connection and video door phone. Water recycling for flushing and landscaping. Rain water harvesting. High tech fire fighting facilities. Ask from 1 other people who enquired about Kaustubh Platinum. Review of Kaustubh Platinum, Borivali East? Its price, location, builder etc. Review of Kaustubh Construction Pvt. Ltd., Borivali East? construction quality, trustworthy, delivery history etc.? Review of Kaustubh Platinum, Borivali East location? neighbourhood, connectivity, schools etc.? Comparison of Kaustubh Platinum, Borivali East to nearby projects? Is it rightly priced? 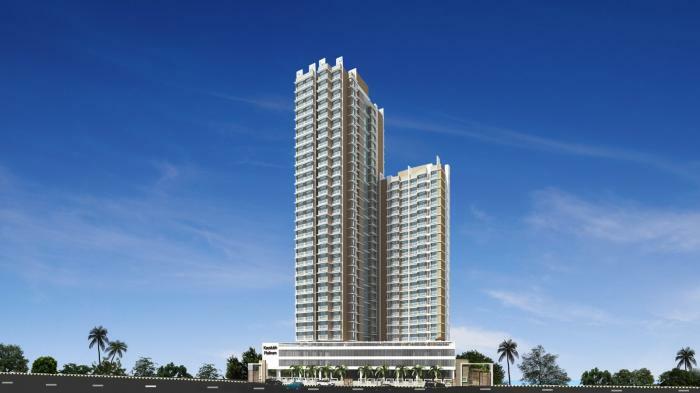 What is your feedback on this Kaustubh Platinum, Borivali East? Depends on brand name and complete the project in time etc? Will this be a better option for investment or to live in Kaustubh Platinum, Borivali East? Can you give some suggestion? Is the Kaustubh Platinum, Borivali East has more potential in terms of capital appreciation, ROI, Rentals, Proximity to social infrastructure etc?